The current work schedule is 7 a.m to 6 p.m. and the work will be every second Saturday (starting with July 22). 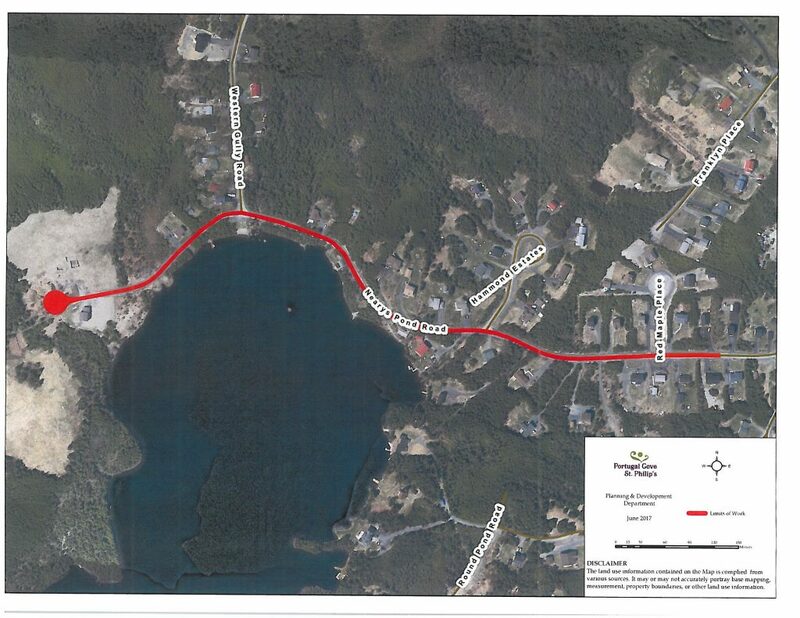 Work is expected to start on Nearys Pond Road on Thursday/Friday of this week. Initial work will involve ditching and driveway culvert replacement. The upgrading will be of approximately one kilometre of Nearys Pond Road, beginning approximately 75 metres west of the intersection with Round Pond Road and extending to the end of Nearys Pond Road. The upgrading is comprised of surface rehabilitation (including asphalt/gravel sidewalk to allow for safer conditions for pedestrians) and some underground/ditch work to improve drainage issues. Some driveway culverts will be removed and replaced. Culvert removal will be completed within the working hours of a single day so the driveway access is maintained overnight. All affected properties have already been notified. The Town thanks you for your cooperation during this time.